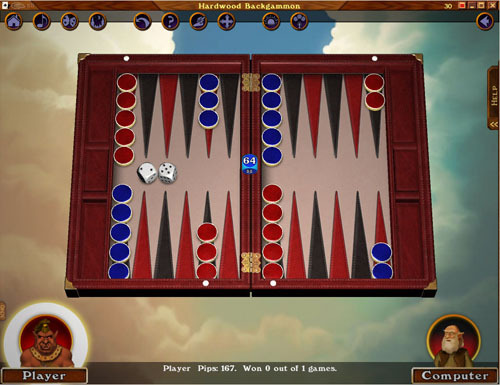 Get ready to play Backgammon online or on your own with Hardwood Backgammon. 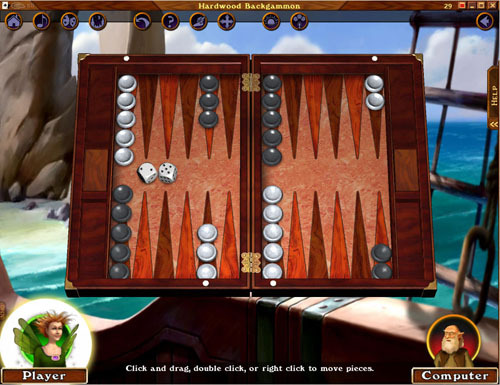 Download backgammon now to experience the board game in a whole new way with beautiful imagery and thoughtful design. Welcome to our neighborhood ― where users have established a thriving Backgammon gaming community. Experience a friendly, safe atmosphere. Make lifelong friends or meet with family members while playing your board game. We like to say that playing Hardwood Backgammon is an vacation from your situations. 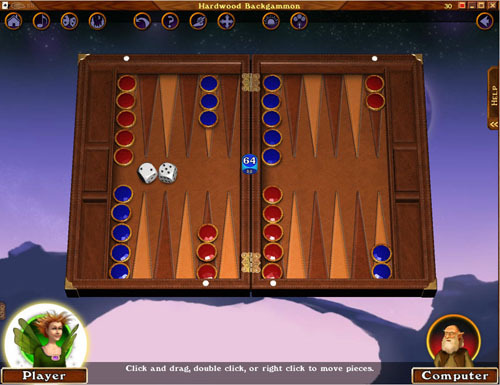 If you choose to play backgammon by yourself, that's okay too. Keep in mind, though, that if you have strategy questions or need to troubleshoot any aspect of your game stop by our discussion board. We have some of the nicest, well-informed volunteer guides in the casual game business. They know our neighborhood backwards and forwards. We're here to serve. One player was ready to give up playing online games because her sight was failing her. Our guides quickly showed her how to customize her options to enlarge the font size. To say she is happy would be an understatement. All in a day's work. Friendly people, Delicious graphics. Great assistance. What are you waiting for? Begin your free trial backgammon download today!